Rivers State Governor, Nyesom Ezenwo Wike has declared that the desperation of the APC Federal Government to manipulate the 2019 General Election will only lead to crisis. Governor Wike said that no amount of brute force or intimidation will stop the Rivers people from defending their votes in 2019. 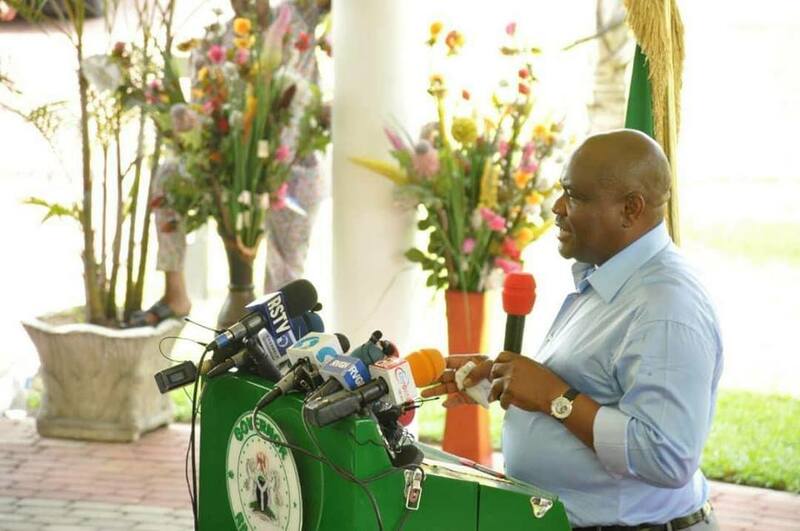 Speaking during a Media Chat on Tuesday at the Government House, Port Harcourt, Governor Wike said: “They want to manipulate the electoral process in Rivers State in 2019. They are simply laying foundation for violence and crisis. 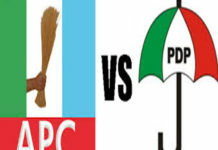 “They have no projects on ground in Rivers State upon which they can campaign on. Therefore, their only option is to attempt to rig. “Our campaign is the commissioning of projects. All we are doing is to distribute projects. We have provided effective leadership to the state and the people are happy “. 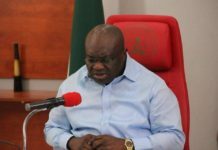 The governor noted that the Police has arranged for Assistant Commissioner of Police, Akin Fakorede to be their point-man in the manipulation of Rivers polls. “Fakorede is an enemy of democracy. I brought this matter to the public for the people to be vigilant. Fakorede is sabotaging the security architecture of Rivers State”, he said. 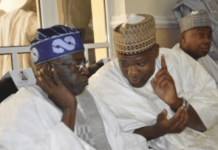 He said the APC Federal Government ought to have realised that attempting to rig is an exercise in futility, in view of the few seats they won during the rerun. Commenting on the threat to his life, Governor Wike said that the threat is real because of credible intelligence available to the Rivers State Government. He said that the denials of the officials of the Federal Government is expected. On the political conflict in Rivers State, Governor Wike said that he has nothing personal against the Former Rivers State Governor, aside the need to protect the interest of the state. 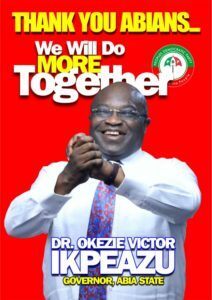 He decried the situation where the Former Rivers State Governor leads a campaign to destroy and de-market Rivers State. Governor Wike charged journalists to take action to promote the state, because as people who reside in the state, they are major stakeholders. Governor Wike said that his greatest achievement has been to restoration of security in the state. He noted that security is also his greatest challenge. 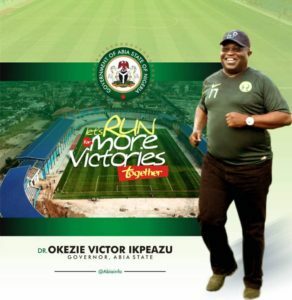 The governor said that he will not respond to insults heaped on him by the defeated 2015 Rivers State Governorship Candidate for the APC, because they are borne out of frustration. 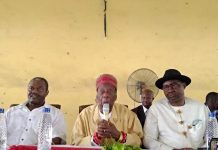 He, however, offered to provide official transport to convey the defeated 2015 Rivers State APC Governorship Candidate to Opobo on the Ogoni-Andoni-Opobo-Nkoro Unity Road at the end of the year. 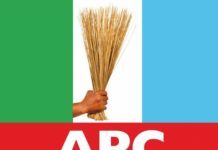 The governor said that the APC has politicised the issue of soot challenge in the state, creating the atmosphere where security agencies destroy illegal refineries crudely. 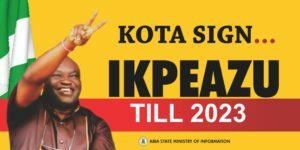 He noted that despite the actions of the APC Federal Government, the administration is working with Agip, Shell and Total to resolve the soot challenge. 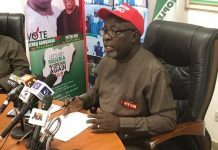 He added that the Rivers State Government has briefed a prominent environmental lawyer, Lucius Nwosu to drag the APC Federal Government on the soot. On women empowerment , Governor Wike he is empowering women with leadership positions, so that they can contribute to the development of the state. 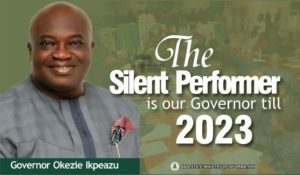 He said that all the PDP Deputy Chairmanship Candidates for the Local Government Elections are women, while there are 150 women councillorship candidates. He added N500million has been set aside by the State Government for the women involved in small scale businesses.